This comprehensive textbook teaches the fundamentals of database design, modeling, systems, data storage, and the evolving world of data warehousing, governance and more. 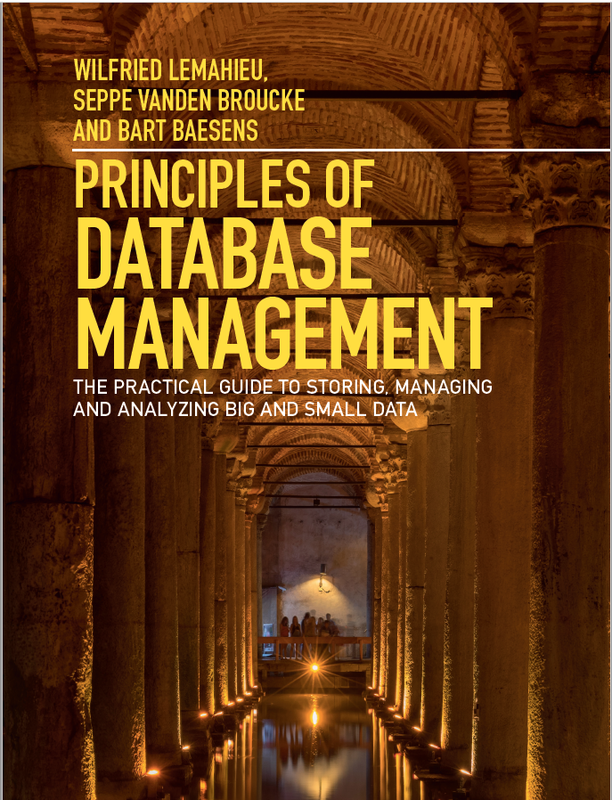 Written by experienced educators and experts in big data, analytics, data quality, and data integration, it provides an up-to-date approach to database management. This full-color, illustrated text has a balanced theory-practice focus, covering essential topics, from established database technologies to recent trends, like Big Data, NoSQL, and more. Fundamental concepts are supported by real-world examples, query and code walkthroughs, and figures, making it perfect for introductory courses for advanced undergraduates and graduate students in information systems or computer science. Principles of Database Management provides readers with the comprehensive database management information to understand and apply the fundamental concepts of database design and modeling, database systems, data storage, and the evolving world of data warehousing, governance and more. Designed for those studying database management for information management or computer science, this well-illustrated textbook has a well-balanced theory-practice focus and covers the essential topics, from established database technologies up to recent trends like Big Data, NoSQL, and analytics. On-going case studies, drill-down boxes that reveal deeper insights on key topics, retention questions at the end of every section of a chapter, and connections boxes that show the relationship between concepts throughout the text are included to provide the practical tools to get started in database administration. It can also be useful to universities working out degrees in e.g. Big Data & Analytics and Data Science. The End of the ‘One Size Fits All’ Era? Bart Baesens is a professor of Big Data and Analytics at KU Leuven (Belgium) and a lecturer at the University of Southampton (United Kingdom). He has done extensive research on Big Data & Analytics, Credit Risk Modeling, Fraud Detection and Marketing Analytics. He wrote more than 200 scientific papers some of which have been published in well-known international journals (e.g. MIS Quarterly, Machine Learning, Management Science, MIT Sloan Management Review and IEEE Transactions on Knowledge and Data Engineering) and presented at international top conferences (e.g. ICIS, KDD, CAISE). He received various best paper and best speaker awards. Bart is the author of 6 books: Credit Risk Management: Basic Concepts (Oxford University Press, 2009), Analytics in a Big Data World (Wiley, 2014), Beginning Java Programming (Wiley, 2015), Fraud Analytics using Descriptive, Predictive and Social Network Techniques (Wiley, 2015), Credit Risk Analytics (Wiley, 2016) and Profit-Driven Business Analytics (Wiley, 2017). He sold more than 15.000 copies of these books worldwide, some of which have been translated in Chinese, Russian and Korean. His research is summarized at www.dataminingapps.com. He also regularly tutors, advises and provides consulting support to international firms with respect to their big data, analytics and credit risk management strategy.